This AngularJS application is a Chrome extension based on a ng-newsletter tutorial. 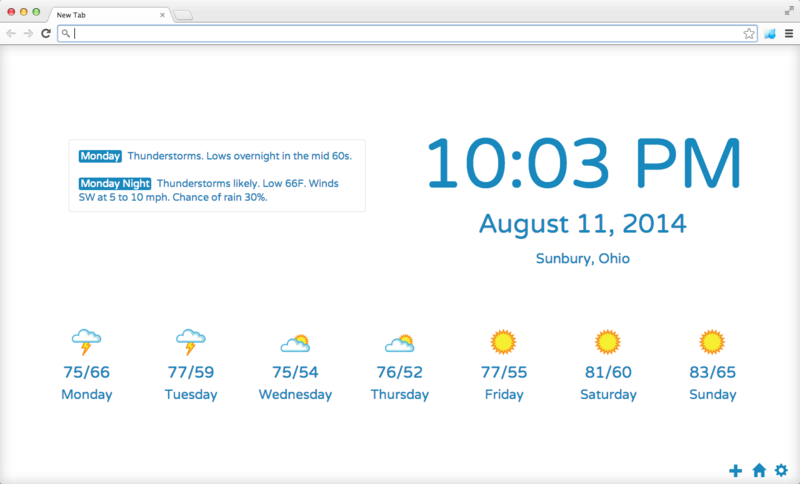 It makes use of the Weather Underground API to bring in both the 10-day and hourly forecasts as well as their autocomplete API for city details. Clicking on the plus icon opens the hourly forecast and the gear icon opens a dialog for selecting a location (autocomplete). The time displayed on the home page is based on the timezone of the selected city.